Thomas Whiles had been working as an apprentice in a boatyard and doing a BTEC with Falmouth Marine School but his ultimate ambition is to work on superyachts. Thomas comes from Falmouth and frequently sees the superyachts coming into refit at Pendennis Shipyard. This, and the sight of the classic yachts at this year’s Pendennis Cup, really inspired his choice of career. 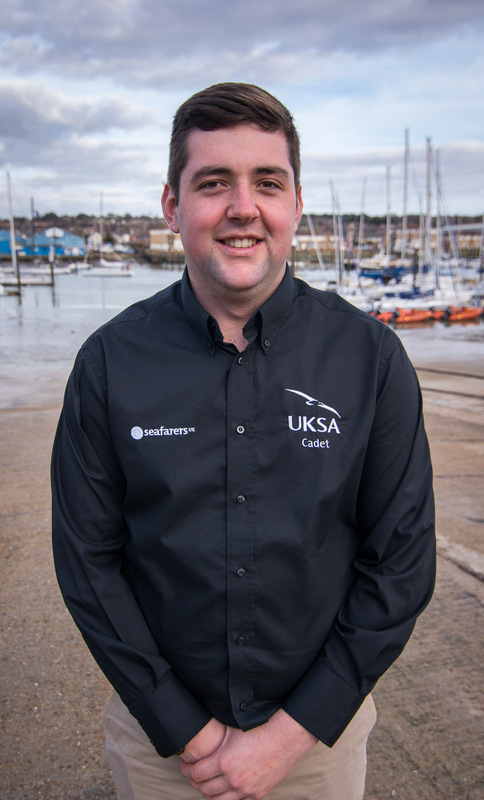 At 18 he is now on UKSA’s Superyacht Cadetship having found out about UKSA through meeting Trinity House Cadet Sam Sessions, who was in Falmouth on Mariette on a winter refit. Thomas said: “I thought it looked incredible and I had found what I was looking for, but when I looked further into it I was worried I wasn’t quite what UKSA was looking for. But when I phoned one of the careers advisors at UKSA he was extremely helpful and I got onto selection. Luckily Seafarers agreed to fund me, giving me a chance to fulfil my dream. I needed the funding as I wouldn’t have been able to do the course without it, so I am an extremely lucky person! I would definitely like to thank Seafarers for giving me the chance to follow my passion and achieve what I want to achieve. It’s the starting block for me and they have given me that chance. Thomas had his funding topped up with £2,000 from the Milo Hanlon Bursary, named after UKSA Cadet Milo Hanlon who tragically died early on in his career. As part of his cadetship, Thomas will do an FdSc foundation degree in Operational Yacht Science at Falmouth Marine School.